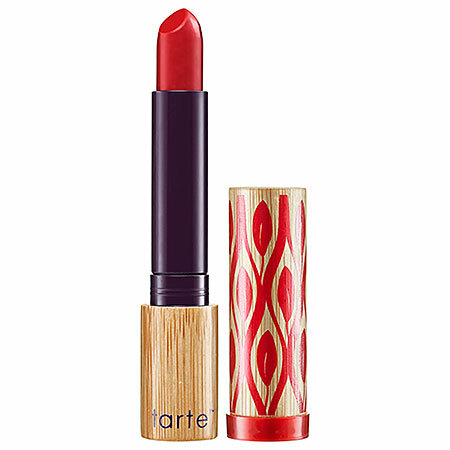 Tarte's newest lipstick line, Tarte Glamazon Pure Performance 12-Hour Lipstick is one of my favorites this summer. Velvety smooth, instantly sets into the semi-matte finish and moisturizes lips all day. I loved that it was never flaky, cakey or feathered around the edges, and the color, Fierce (shown, left) is a super hot red with a touch of orange. I applied 1 coat of the lipstick only (it's so pigmented more is not needed). And about that 12 Hour hold? Well, after applying it in the morning, even through drinking (there is some transfer), and eating the majority of the color and finish stayed in tact.